This is the more popular cousin of the humble barley mousse or odrajahuvaht that I wrote about back in March. I doubt if there are any Estonian kids who have not eaten mannavaht either at home, at kindergarten, at the school cantine (unless they're intolerant to wheat gluten, of course). It's definitely one of the staple everyday puddings, and real comfort food. You can use pretty much anything as a base for this mousse. Tart juices are good (e.g. cranberry, sour cherry, redcurrant juice), leftover jam from the fridge will do, as well as stewed and sieved fruit (e.g. rhubarb and pretty much all berries). On the morning I left Estonia, my mum picked a big bowl of raspberries from her garden, and mashed them with some sugar for a delicious and fresh jam. This is what I used for this vibrant and summery semolina mousse below few days later in Edinburgh. Dilute the juice or jam with enough water to make up 1 litre of liquid (or simply use a litre of cranberry juice drink or something similar). Add sugar to taste and bring everything slowly to the boil. Pour semolina quickly into the boiling juice or jam water, stirring vigorously to avoid any clumps. Simmer in a low heat for about 15 minutes, stirring regularly, until semolina has expanded and you have a thick sweet porridge. Taste - add more sugar, if necessary, or some vanilla sugar, grated lemon or lime zest etc. Pour into a large bowl and let cool. Whisk the cool sweet porridge until it's couple of shades lighter and a lot fluffier and lighter in texture*. Kalyn included this post in her BlogHer entry Sahlep and Other New Entries for that Food Encyclopedia in your Brain - thank you, Kalyn! Anna included this post in her weekly recipe carousel. Thank you, Anna! * My paternal grandmother, Mamma, has often told us a story how my dad managed to rid himself of kitchen duties as a kid. He was once given the task to whip up a big bowl of mannavaht for some workers on the farm. However, when my dad had finished the task, there was no increase in volume whatsoever, as my dad had been eating the mousse as eagerly as he had been whisking it (we're talking about early 1950s here, so obviously there was no gorgeous Kitchen Aid artisan mixers to talk about, just pure muscle power). Since then, he was asked to stay away from the kitchen. Which probably explains why he is still a bit of a beginner when it comes to cooking and feeding his family. Very interesting. I love reading about foods from other places that I'm not familiar with. I've never tasted anything like this. Nice! You are teaching something here and I love it! I will have to try. Looks very simple and delicious! Pille, I had to read the recipe 3 times before I understood that the white stuff in the picture is actually the milk, and not the semolina mousse Guess I need more coffee :) What an intriguing idea to cook the semolina in fruit juice! Mmmm, this is my favourite from the childhood! Clivia - your poor papa!!! I can just imagine how annoying cleaning a egg-sprinkled microwave must have been! 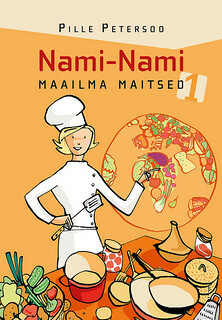 Dagmar - we also had kasza manna/mannapuder/semolina porridge for breakfast very often. I liked mine with a dollop of jam, though nowadays I prefer butter. Whipped semolina pudding is not really a breakfast fare, but a dessert. Kalyn - though I've come across - and can make - much nicer desserts, I still crave my childhood dishes every now and then. I don't think this type of semolina porridge is very widespread outside the region. Bea - it is simple, humble and delicious indeed. 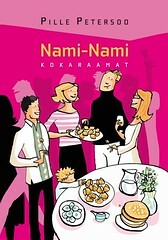 Tiina - have you met an Estonian who doesn't like mannavaht? Aitäh heade sõnade eest! Alanna - good! It's called "vispipuuro" in Finnish, by the way. Excellent recipe. Thank you for the post - your site has made it a bit easier as my boyfriend is from Estonia, and I am always looking for Estonian recipes. He has made this particular recipe since childhood. The only real difference would be instead of fruit juice, he used milk, and replaced the juice with jam. This is the way I have made it, and it is fantastic. We tried your version just last evening and it was so good, a very nice change from the recipe he knows. Every week I post a link to seven recipes that I've found on other blogs that I think are interesting or unique. I call it Recipe Carousel because the idea is to spread good recipes around and around and around . . . I hope this is OK with you, but if it's a problem please let me know. Hi! In Puerto Rico, where I'm from, we eat lots and lots of hot cereals for breakfast....especially children....and my favorite was always cream of wheat.....which we called farina. BUT.....I learned something new on your blog....THANK YOU! I had NO IDEA that you could whip farina after cooking and cooling to make it light and fluffy. I am going to give it a try and mix it with pitahaya pulp to see how it comes out! Thanks again! Anna - thank you for the inclusion in your Recipe Carousel! Anon. - did it work? Inese - welcome to Nami-Nami! Have you got any Polish shops the town where you live in the UK? (There were quite a few in Edinburgh, so I assume most cities have at least one). They're a good place to look for semolina, sour cream, sauerkraut and even good curd cheese/tvorog. Hi, yes I found white semolina in a local Polish shop, so I guess that is the best place where to look for that kind of stuff. :) Thanks for your advice! I just made this for Thansgiving dinner. We adopted our son Oskar 2 years ago from Estonia. I also made this for thanksgiving for my son, Andreas who was also adopted from Tallinn 2 years ago. He LOVED it! Just stumbled on your blog – looks great! As a bit of a foodie and a second generation Estonian-Canadian, it's neat for me to see this type of blog. We always called this something different though – I'm not sure on the actual spelling (I don't speak Estonian – yet! ), but phonetically we used to call it "rosa muna". Ring any bells? 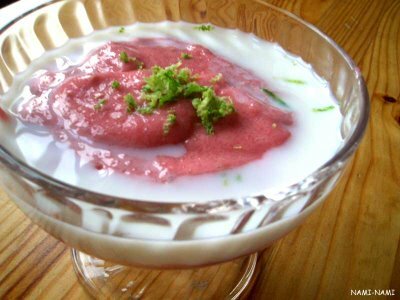 In response to Rachel Parent-Paarsalu: Rosa Manna is similar to Bubert but the fruit juice/syrup is stirred into the porridge to make it pink. Rosa=Pink Manna=Semolina Pudding. Baltic German and Estonian etymology. The German Balts also call Rosa Manna, "Himmelspeise", or food from heaven.